The Barranc de Biniaraix is with certainty one of the nicest and best known travelling tours on Mallorca. This became not least by the report of the West German Radio „: Mallorca for the individualists“ in whom Sebastian Vennebusch might help, still a little more known. 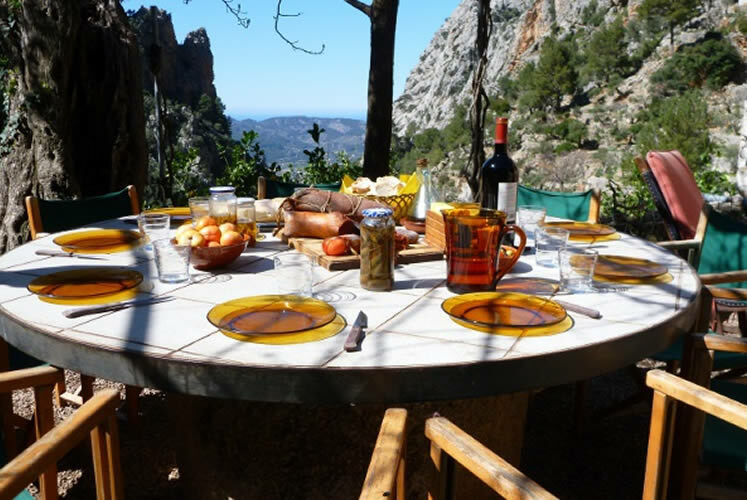 The tour is wonderfully suited for families with children and begins in the picturesque village Biniaraix not far from the municipality of Soller. We proceed on a section of the wide footpath GR221 which is also known under the name "Dry stone wall route". The name is a programme, we walk on a mainly step-like paved way, along the dry stone walls and the terrassierten fields with her gnarled olive trees. On top come unique vespers with Mallorcan products make all efforts forgotten.